This post is fully funded by Arts Connect but will be employed by Birmingham Education Partnership. 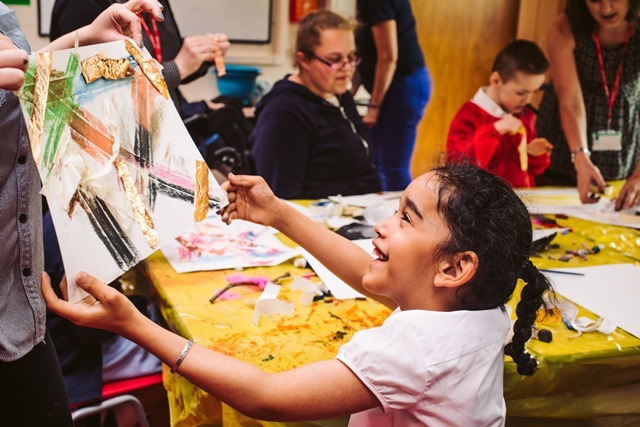 BEP and Arts Connect are building on their partnership to improve children and young people’s academic, social and civic outcomes through arts and culture. This role will sit within the BEP team to provide organisational and development support to the work of the specialist teacher networks, develop communications to teachers of the arts opportunities for their staff and pupils, contribute to the knowledge base about arts and culture in Birmingham schools and build great relationships with teachers, senior staff and the arts and cultural sector. Who might this role suit? We expect that the successful candidate will bring a strong commitment to developing arts and cultural education opportunities for young people, especially those with least access. You’ll have a particular interest and experience in working with schools and their staff and a good knowledge of the city and its arts and cultural organisations. You’ll be an excellent organiser and skilled in communicating and promoting a CPD and arts offers to staff, often acting as the first point of contact for outside companies wanting to promote offers to city schools. Within BEP you will work closely with the BEP Arts School Improvement Lead to the ensure that the work undertaken by this post holder to deliver BEP Arts offers to schools and to engage with isolated schools and are coordinated with your work. You will also work closely with the Arts Connect team, meeting regularly to plan and review and feedback on progress. You’ll have the ability to build and sustain relationships and be a great advocate for children and young people’s entitlement to a rich arts and cultural life, from the early years to secondary and including special education. The role would suit someone who enjoys working in a collegiate way with different teams, in creating connections and in providing a high quality of service and support to make a material impact to the lives of young people. For further information please refer to the BEP website. For an informal conversation about this role please contact John Garrett at BEP or on 0121 2850924 or Pepita Hanna or on 0121 446 3204. Please send a CV and covering letter which details the applicants suitability for the role to office@bep.education, with the subject header: Arts Engagement Coordinator Vacancy. Applicants should include aspirations, experience, knowledge and skills relevant to the job description and person specification.